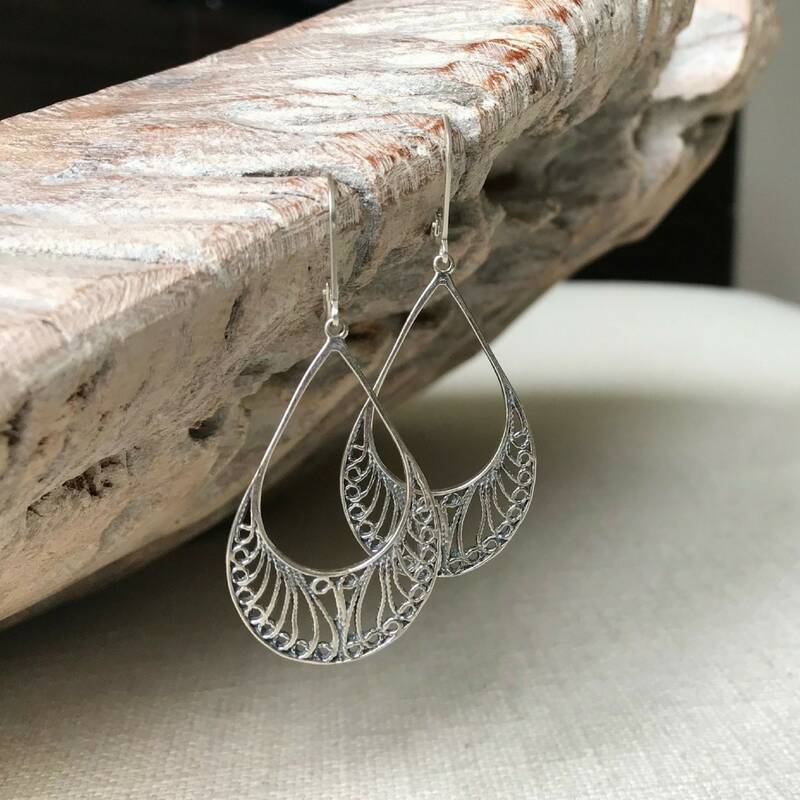 Available in sterling silver, these simple medium filigree teardrop hoops dangle from sterling silver lever backs. 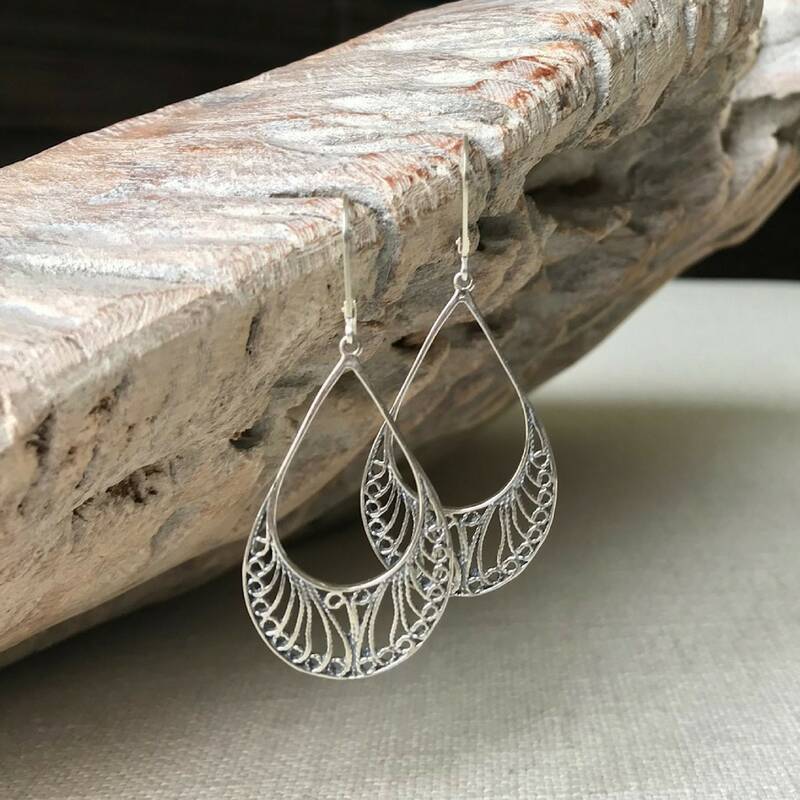 These earrings are lightweight and perfect for day to evening. 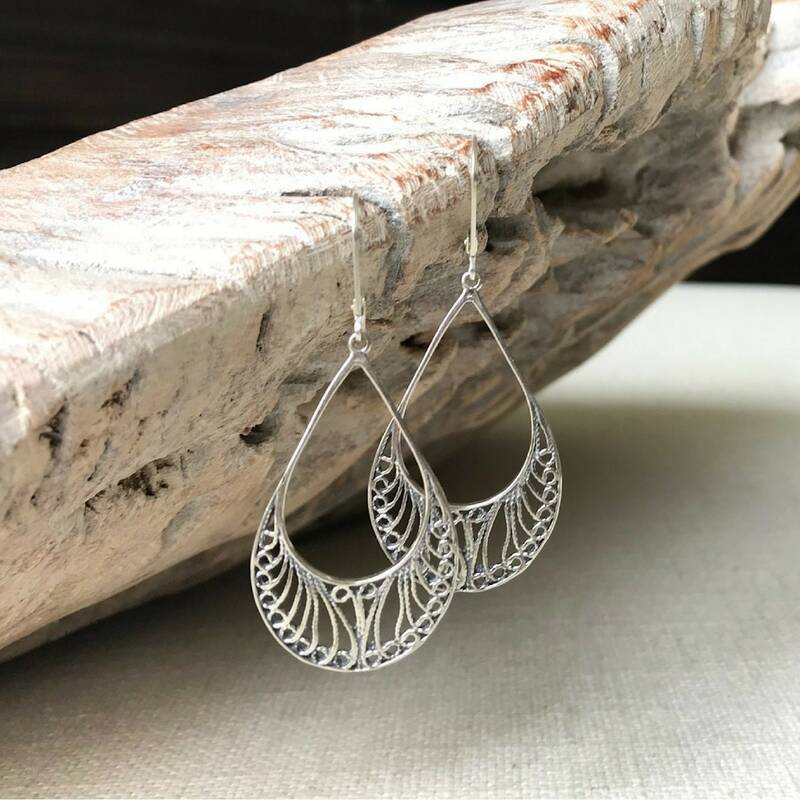 They have just enough filigree detail without overwhelming the hoops, super pretty! The earrings measure approx 2" from end to end and are just over 3/4" wide. My girlfriend loved these earrings! Working with Silvana was great! 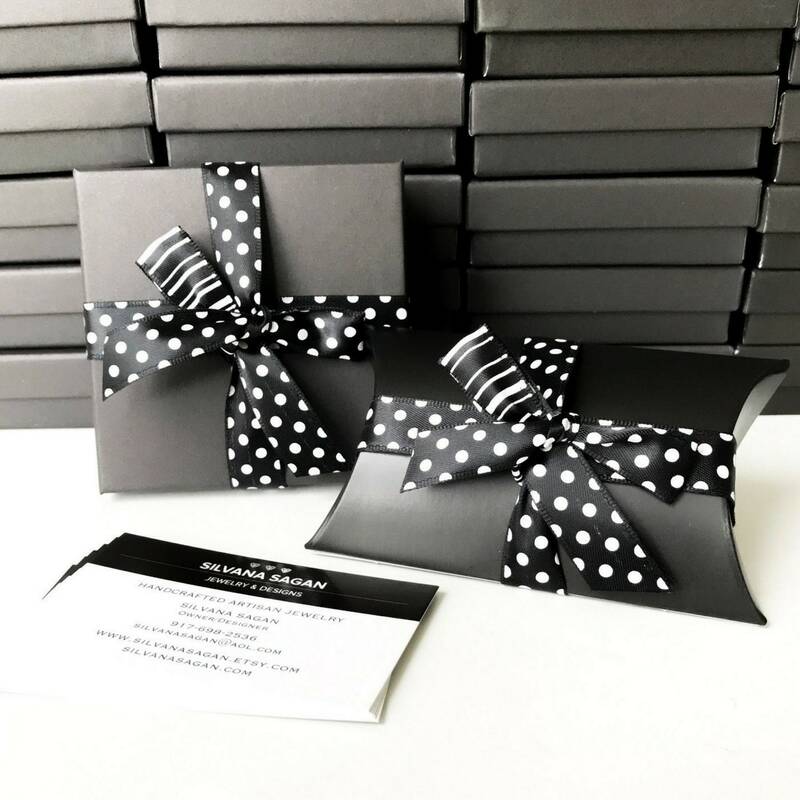 Her order arrived quickly and was beautifully packaged! 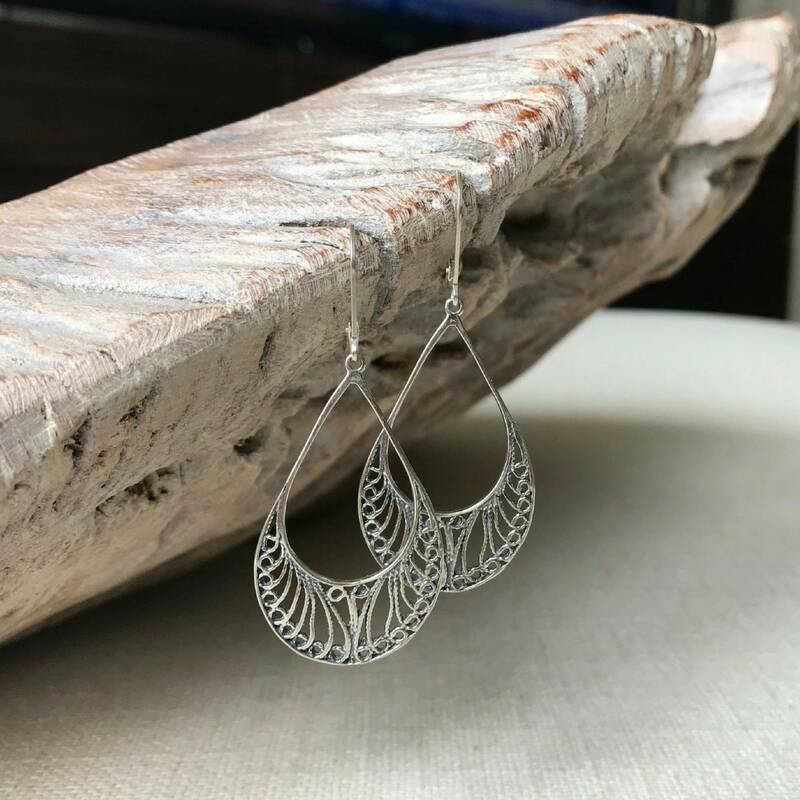 These filigree earrings are beautiful, delicate and lightweight. In fact, I loved them so much I bought a pair for me and another pair as a gift for a friend. She recently wore them to work and told me the compliments were non-stop!